Rodney Dangerfield based an entire stand-up career on it, singer Aretha Franklin had a big hit with it and the new Hyundai Genesis Coupe demands it: Respect. Two things might help them out here. First, get your marketing department to begin plastering every new action film with the car and second, spin a performance division off from the main corporate umbrella and give it a brand name consumers can easily pronounce. 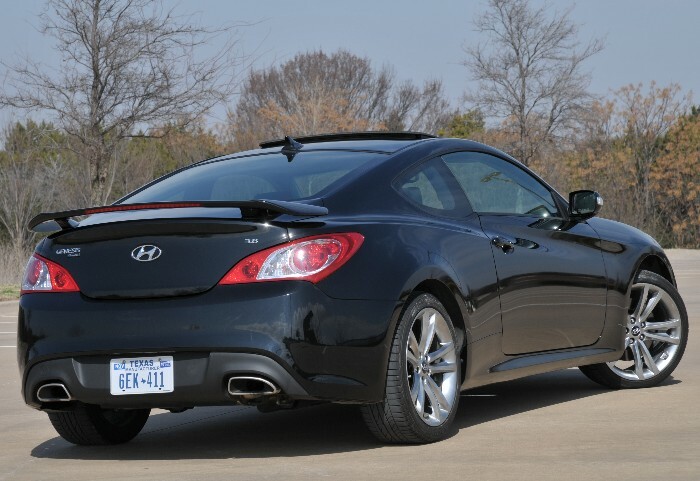 Sure, I had read the glossy newsrack reviews pitting the new Korean coupe against the latest Detroit had to offer but did not really take them seriously until I slid behind the wheel of this 2011 Genesis Coupe 3.8 Track edition recently. This is a Hyundai? No way. Over the past couple of years I have been including Hyundai (and sister company Kia) in recommendations for vehicles worth looking at when considering a new car purchase. For those of you thinking a sporty little rear wheel drive coupe may be in your future, make sure you stop by your Hyundai dealership. The Genesis two-door model is derived from the architecture underpinning the automaker’s stylish sedan of the same name but similarities end there. And the coupe is more than just a reengineered Tiburon. Much more. 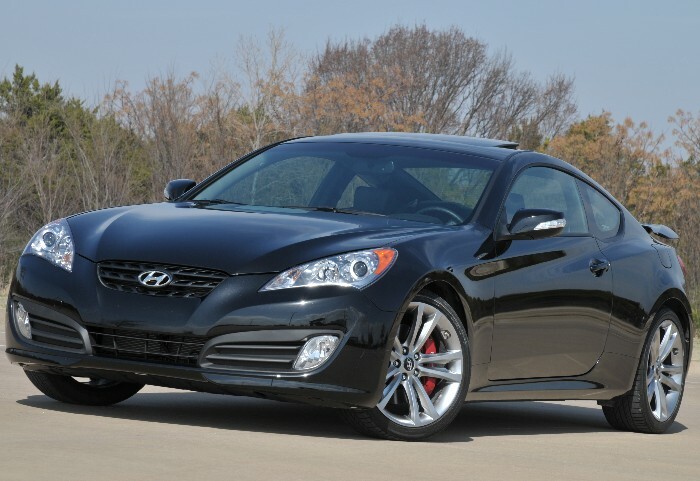 The Genesis coupe is a rear wheel drive car capable of truly giving Detroit a run for the roses. 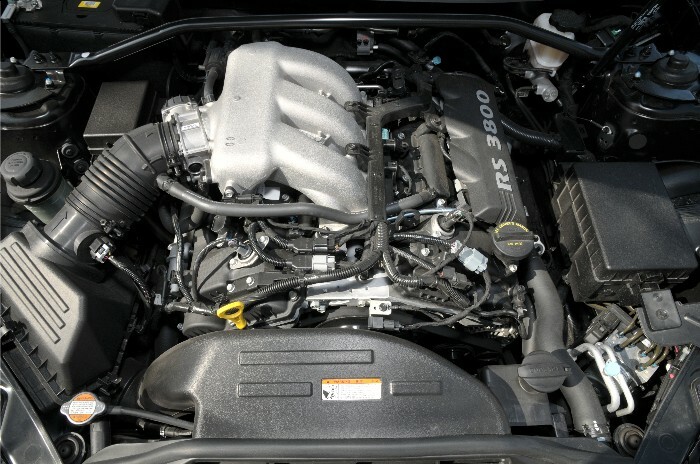 Our tester came with the spirited all-aluminum 3.8-liter V-6 engine putting 306hp to the rear wheels via a slick sport-shifting six-speed manual gearbox and a Torsen limited-slip rear differential. This car features a track-tuned suspension underneath an already decidedly rigid body structure. Brembo four-piston brakes and oversized ventilated rotors help bring this rocket back to earth when that need arises and Hyundai rolls out 19-inch alloy wheels with performance rubber at all four corners. The Track package blacks out the lower front fascia and adds aero wipers and a rear spoiler to the car. Inside we find black leather seating surfaces on supportive but comfortable buckets matched nicely with aluminum pedals. We enjoyed the latest in infotainment technology during our time in the coupe but despite enjoying cranking up the tunes on the audio system we found listening to the exhaust notes while twisting the tachometer northward just about as rewarding. I never set “finish line” as a destination in the nav system but I have no doubt the Genesis Coupe Track edition would find it without hesitation. Fuel economy was a bit of a disappointment as the 17/26 this car is rated for is on par with a 400-plus horsepower Pony car I recently received. Pricing was a bit surprising as well. At first glance I thought the 30 grand base was a bit steep but that covers everything in the Track package – the final sticker is only a tick above this but on par with the competitive segment from Detroit for V-6 models. Many may say that paying nearly as much for a Hyundai as they would for a Mustang is simply out of the question but those are the ones who still have yet to give this car its due respect. And in the game of “put up or shut up” the new Genesis Coupe 3.8 Track edition is a sports car that announces its presence loud and clear. Previous Previous post: Since When is a Truck Not a Truck?